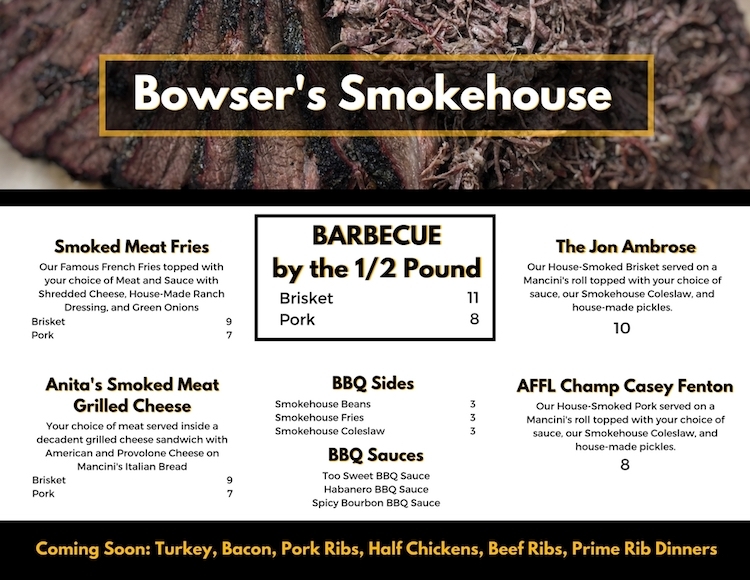 We hit on something quite special with our regular smokehouse specials over the past year, so as of today we are making it official that EVERY DAY is Smokehouse Day here at Bowser’s. That’s right! You don’t have to wait until Saturday for that Brisket anymore. We are going to have it every single day of the week. 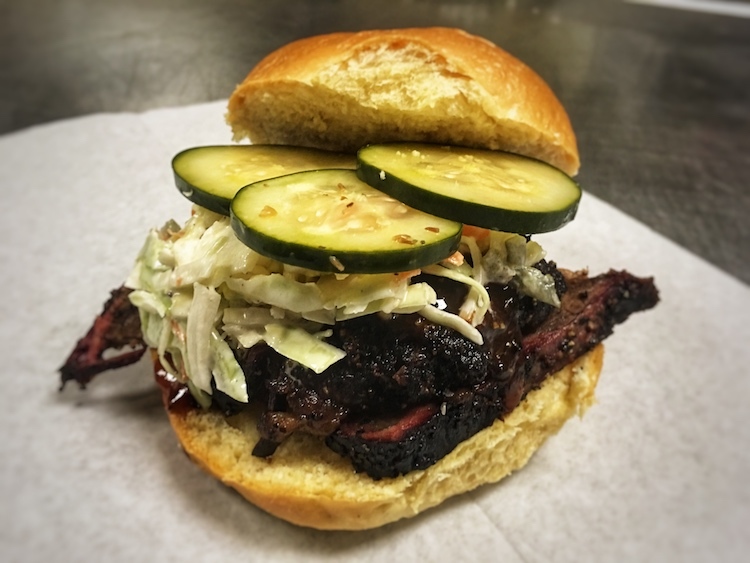 In order to make sure that we can keep up with demand, we are going to start out our Everyday Smokehouse Menu with just Brisket and Pulled Pork. You can order either option by the half pound with your favorite sides, or you can grab some of our most popular specials like Brisket French Fries or the Pulled Pork Grilled Cheese! While we are trying to keep things simple for now, you’ll probably notice that a massive smoker showed up out in my BBQ tent this past weekend. In order to get the most out of that bad boy, I have all kinds of additional meats and specials planned that will be added to the Everyday Smokehouse Menu in the weeks to come. I expect to be adding Smoked Turkey by the end of the month, which will also be available in a Turkey Bacon Ranch Wrap with a new house-smoked bacon. On top of that, I am also looking forward to kicking off feature specials like Pork Rib Mondays, Half Chicken Wednesdays, and Prime Rib Saturdays as we work our way toward the spring and summer months. And as if all of that isn’t exciting enough, I am also taking orders for Smokehouse Catering where you can order any of those delicious smokehouse items by the half pan or the full pan.